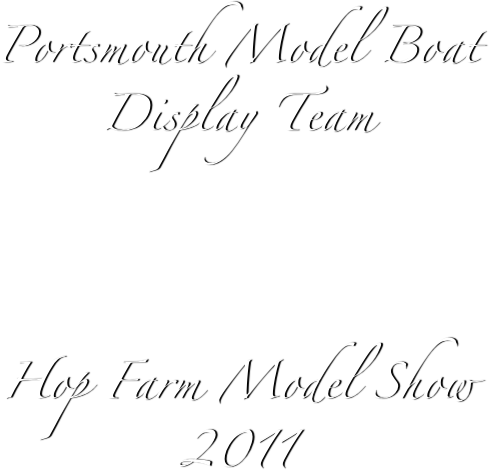 Hop Farm an out door model show on a grand scale and our Teams first time there as a club. Only a static event for us, but still an opportunity for us to show the very varied models our members own. 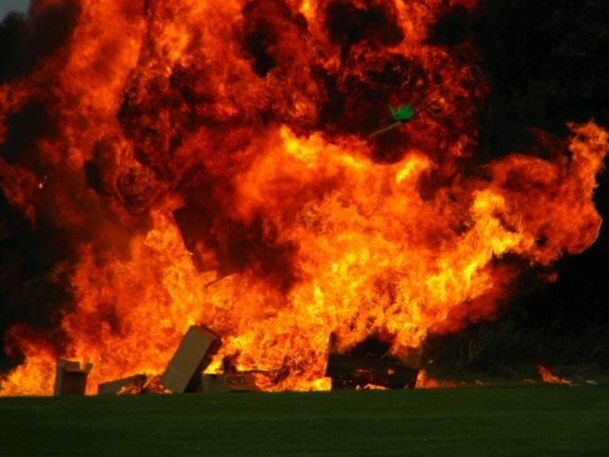 One of the highlights for us pyrotechnic types is the RC aircraft attack on a model airfield. This year the normal mix of explosions and beyond brave flying, was taken to a new level by the biggest smoke ring you could imagine. To give an idea of scale, the smoke ring lasted about two minutes as it rose high into the sky, and was wide enough for the aircraft to fly through. Although not boats, these fantastic large scale model WW1 aircraft are worth a few photos here.